* For a review of the next episode, “Coquilles” – click here For Will, family has always been like “an ill-fitting suit.” He came from a poor family, always moving around. As Hannibal says, “always the stranger.” So there’s something that both Will and Hannibal are missing: each in a sense miss the aspect of family in their lives, just in different ways. Hannibal is a sociopath, really incapable of having too much feeling so there’s no real sense of family he would ever have when it comes down to it. Then there’s Will, who as we’re discovering now in “Oeuf” has an aversion to many things: one of which the family life. Family is the big theme here in this episode. As I pointed out in the last episode, one of the over-arching themes which presents itself throughout Hannibal as a series is that of family, or at the very least friendship/close connections. So with the Murder of the Week format again here we get something that doesn’t just go for a gimmick. It directly plays into the relationships and connections going on within the episode itself. Here, we see the vicious murders of whole families, children and all. These are being committed by a rag tag family put together by an insane matriarch on the road, played excellently by a favourite of mine – Molly Shannon. The kids are being made to kill. It’s fairly disturbing business. I believe when this first came on, there was some mass shooting or other tragedy in America at that time. They never aired “Oeuf” initially, as far as I know, on television in the U.S. Not sure if they did afterward at some point. Not sure it warranted such treatment. Definitely unsettling and might hit home. What proper storytelling doesn’t? 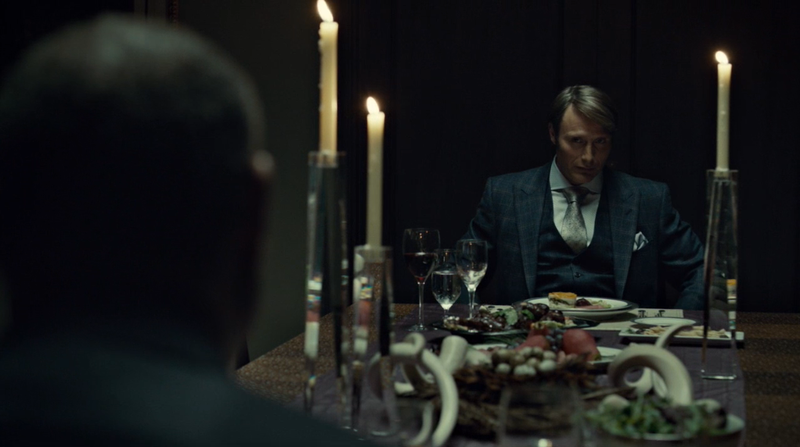 As Hannibal tells Jack they’re eating rabbit at their dinner together tonight, of course prepared by the doctor himself, we get a really great scene. Hannibal muses about the rabbit they’re supposedly eating while the scene is intercut with a man running through the woods, clearly scrambling for his life. An amazingly chilling moment. At the same time as Hannibal and Will are forming this weird surrogate family of their own, Graham does seem to open slightly to the people around him that he’s working with constantly. The FBI Forensic Team, along with Jack as the father figure, is also a type of family for Will. He feels at home working with them on a professional level, even to the point where himself and Beverly Katz (Hettienne Park) interact more than he usually does with anyone outside of the immediate circle with which he surrounds himself. This aspect comes into play more as the season progresses, most certainly more once Season 2 commences and chugs along. However, there are plenty of ways in which family as a theme comes into play throughout the series overall. Hannibal actually takes Abigail Hobbs away from the hospital in which she has to stay during this episode. It’s a real interesting time in regards to the scenes between the two. They have their new bond and Abigail seems constantly worried about whether or not she’ll turn out just like her father, true daughter to the Minnesota Shrike. Dr. Lecter decides magic mushrooms will be a good treatment for Abigail. He gives her some in a mug of tea while he makes a delicious looking breakfast for dinner. Even Dr. Bloom is invited along to partake in their meal, while Abigail mumbles around clumsily, hallucinating on the psychedelics. I really love these few scenes because there’s an actual genuine care shining through in Hannibal, regardless if it’s slightly misguided, but he truly cares about her. In a way, Hannibal has Will and Abigail as these two sort of experiments. While he isn’t afraid to play hard and fast with Will, he feels a little less willing to let Abigail be that fragile teacup. Or more so, he knows she is the cup, but does not want her to shatter. Funny enough, Abigail does let her teacup drop, hitting the floor. Hannibal watches on. Perfect visual metaphor of what he’s truly doing with both her and Will. Another instance of great writing coupled with an overall vision arching across the series, helped along by the director of each separate episode. One of my favourite parts of the series. 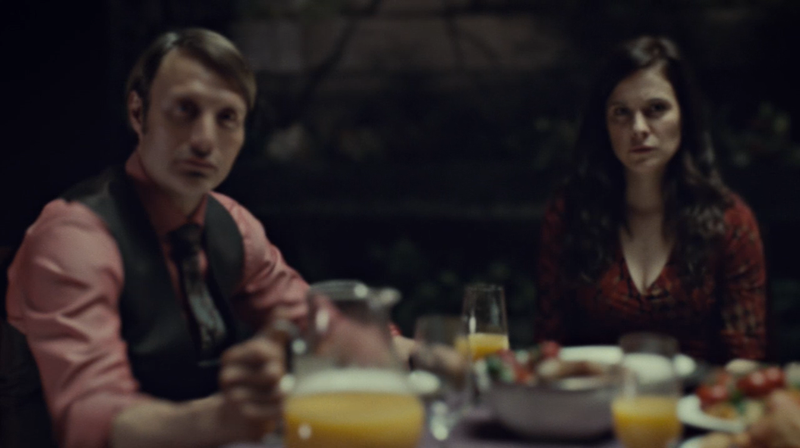 Hannibal makes sausage and eggs— the last meal Abigail was having with her parents, now the first meal she is having with her new, surrogate father/family. Such a trip. Literally, as Abigail rocks around, her head lolling with the mushrooms working their beautiful poison into her bloodstream, taking her otherworldly places. 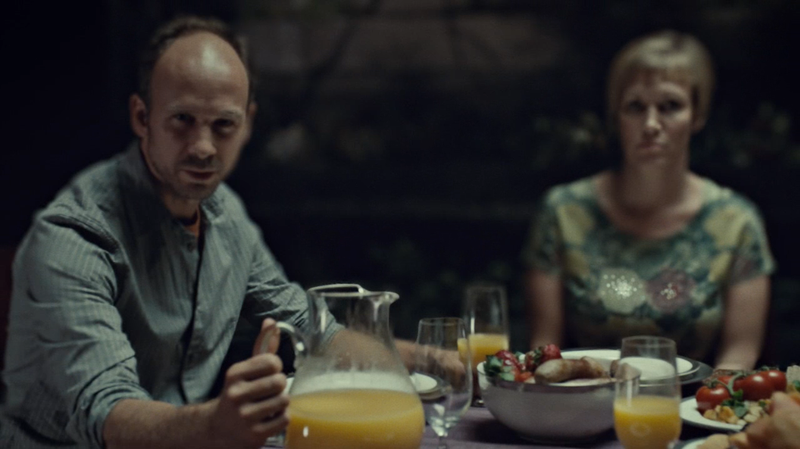 When Alana then sits down with Abigail and Hannibal, of course Abigail hallucinates on the mushrooms and views it as her family sitting around the table. No longer are the visions of her father, the Minnesota Shrike himself, so terrifying, jagged in her mind— they’re comforting, more bland and easy to swallow. She sees herself as being part of a family once more. Happy, safe, having breakfast together, as if nothing ever changed. Healthy? Or dangerous? Hannibal knows better. 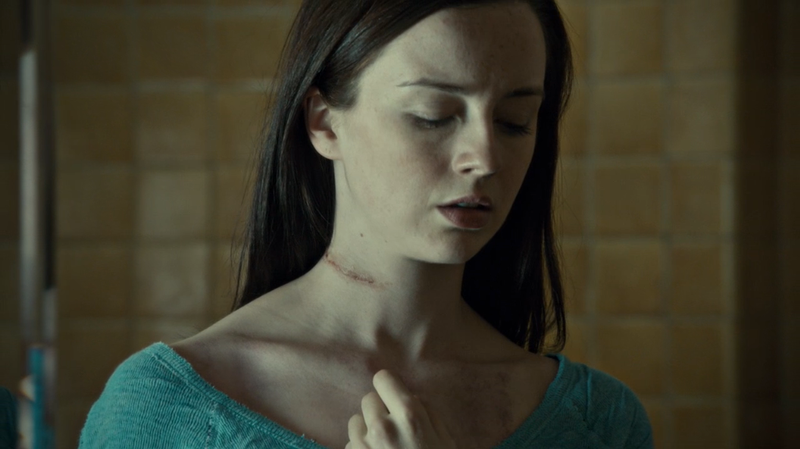 We get bits and pieces of the prior friendship between Alana and Hannibal, as well. This is something that plays out further in the series, but here we see how friendly they are together, colleagues yet also able to casually have a drink and chat. Albeit, all they can talk about is work. Still there is plenty to learn about their relationship. It’s nice to witness how Hannibal Lecter was with people before locked up, even if Fuller’s Hannibal is different than the other incarnations of the doctor. With Bloom being female in the NBC show, plus having a much more fleshed out role, there’s a bigger dynamic setup here that works quite well. 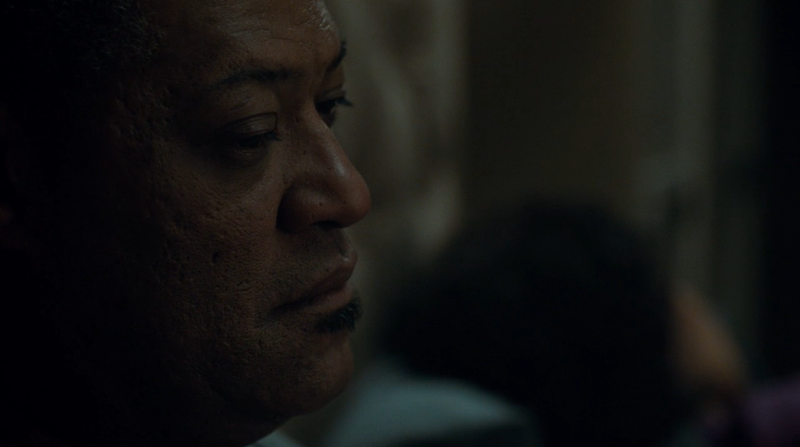 Jack Crawford and his wife Bella (Gina Torres) have a brief moment here. Clearly we can also see Jack suffers from taking his work home, as well. It isn’t just Will that the study of murder affects. Jack wonders if it’s too late to have children. No doubt this is spurred on by his seeing such devastation at the hands of the family killings recently. 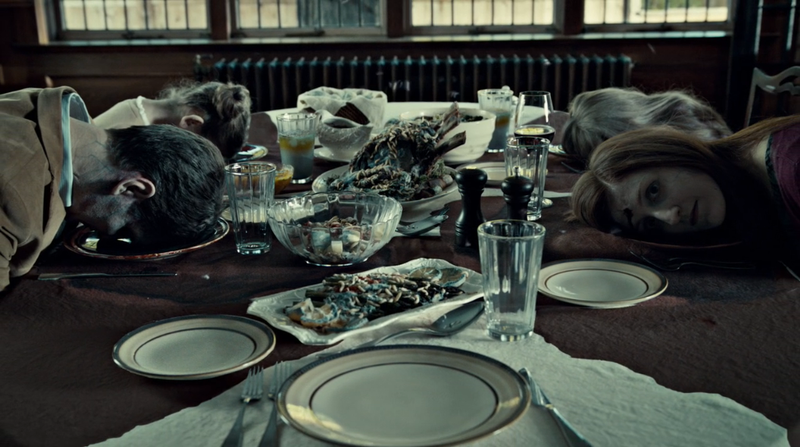 The theme of family touches everyone in the show, not only Hannibal and Will. Pretty pleased to see this episode was directed by Peter Medak. He’s done some great work. My favourite of his filmography is the haunted house classic starring George C. Scott, The Changeling. Amazing bit of horror cinema. He does well with this macabre, and at times touchy, episodes where family violence is explored to a place far beyond anything else that’s ever been on NBC. He was a great fit for this episode and it worked well under his direction. The family theme keeps on going becoming something significant to the series. Stay tuned for “Coquilles” next.